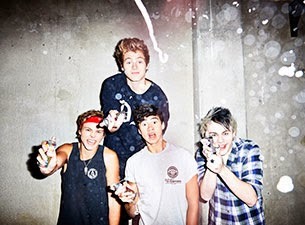 Watch 5 Seconds Of Summer's performance of "Amnesia" and "Good Girls" on The X Factor Australia below. Both tracks are taken from the Australian pop/rock four-piece's debut album that is available now via Capitol Records. Don't forget to catch the band on tour next year on their "Rock Out With Your Socks Out" tour. Dates and ticket information can be found here.